Veteran Investigative journalist Sam Sole was shamelessly attacked in a disinformation article by Business Report’s Adri Senekal De Wet last week. This is his response. Your attack on me in Business Report last week was proof that, while the heart may still beat at Independent, the soul is dead. 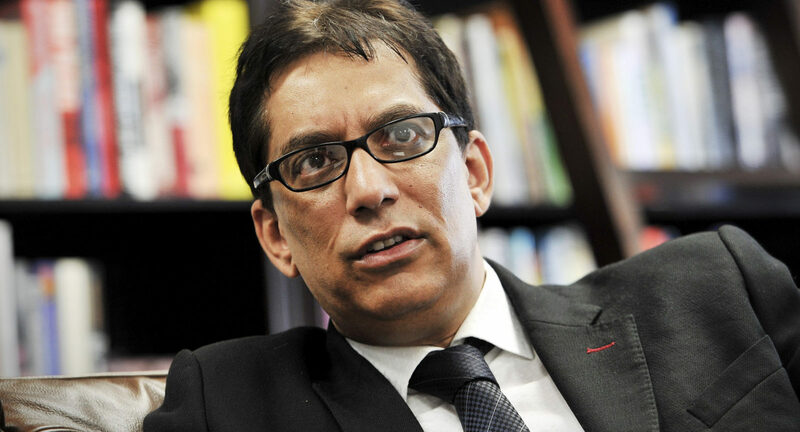 From distorting basic reportage to abusing your editorship for cheap propaganda, it was an object lesson in what has gone wrong at Independent since it fell to Dr Iqbal Survé. Your attack did five things. First, it repeated the slur cast by Survé when he used an SABC interview to pursue the “Stratcom defence”, by asking me, as you put it, “to publicly state his involvement in apartheid journalism as a young reporter”. Third, you accused me of lying. Fourth, you peddled the rumour that I “am being paid to write positive stories about certain companies”. Finally, trivially, you suggested I need to get out of my “comfortable air-conditioned office”, and meet people in the townships, the way Survé does “if he isn’t attending a global meeting”. Perhaps you didn’t see the Skype interview where Sakina Kamwendo struggled to keep a straight face at the sight of my office, which is a small space under my garage – and is storage for camping equipment and other junk, as well as files about apartheid murders and post-apartheid malfeasance. It does not have air-conditioning. Your assumptions about my office underline a bigger mistake about my decision to subject myself to military conscription. It was precisely to confront the ugly reality of apartheid, rather than run away from it. My only involvement with the apartheid security services, ever, was during those two years – from mid-‘84 to mid-‘86. I wasn’t a journalist then, I was a private in the infantry, which was deployed into townships in the Eastern Cape during two states of emergency. I got to see just how vicious the system was – and that propelled me into journalism as a means of fighting injustice and exposing abuses. I wrote my first article, secretly, while I was still in uniform. It was an exposé of what the police and the troops were doing in the townships. It was published anonymously in the International Herald Tribune after I mailed it to an address given to me by Janet Cherry of the End Conscription Campaign. You can read about it here. I am not ashamed of that story, I am proud of it. My “stuttering”, as you called it, was not a mark of “lying”, but betrayed the emotion of having to defend myself from such a grotesque distortion of my life and work – as any honest observer will appreciate. The attempt by you and Survé to deflect legitimate scrutiny by smearing me is a mark of desperation. Survé is in the spotlight because of what he’s done, not who he is. What he’s done is damage, perhaps irretrievably, the health, integrity and credibility of Independent, once one of the pillars of our news media. The notion that I’m being paid to write “positive stories about certain companies” is such poorly conceived slander, it’s laughable. Such is the life of an investigative journalist that I can’t recall the last time I wrote a positive story about anything – and I think you’ll struggle to find one in our archive.